If you’re on track for saving for your retirement – that’s great news. However, you may wish to consider the impact that future healthcare costs may have on your retirement savings. 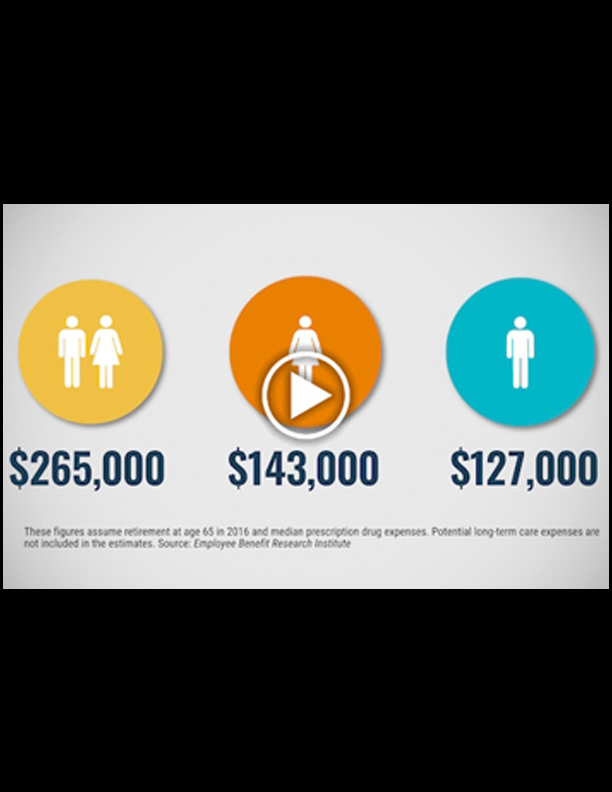 The video below provides information about how the impact of future medical expenses may have on the savings available to you in retirement. © 2018 DST Systems, Inc. Reproduction in whole or in part prohibited, except by permission. All rights reserved. Not responsible for any errors or omissions.